Laura Calder hosted the James Beard Award-winning show French Food at Home on Food Network. She is the author of four cookbooks and of The Inviting Life: An Inspirational Guide to Homemaking, Hosting and Opening the Door to Happiness. The new Canada Food Guide opened up a can of worms and set it on dinner tables across the country this week. The resulting conversations have been rousing. There was praise for the updated food recommendations, which reflect our modern ideals and anxieties about what we should and should not put in our mouths. More vegetables. Less meat. More grains. Less sugar. All this is music to the ears of those who already eat this way, but perhaps more like nails on a chalkboard to anyone for whom the suggestions feel unrealistic, for whatever reasons. It is a guide, not a hard set of rules, but it does imply a “correct” way to eat – a diet, if you will. And, diets, as we know, are stressful and loaded with guilt. Not everybody is pleased to have another one thrown at them. Especially, perhaps, because the new guidelines don’t just tell us what to eat, but also strongly suggest how, and include recommendations that have nothing to do with what’s on our plate. They urge us to be mindful of our eating habits, to cook more often, to eat meals with others and to enjoy our food. If I may paraphrase: to be more French. Of course, I’m all for this. I was brought up in Canada in a family that took food seriously, but it was the decade I lived in France that really drummed into me the importance of the social and sensual aspects of dining, both to health and to overall quality of life. I returned from France with an approach to eating that I live by to this day. And this is where I see the greatest roadblock to better eating in Canada, one that our new and improved food guide brings to light: This country’s mainstream culture does not consider the rituals of eating to be sacred. One reason it’s easy to eat well in France – good food, at your leisure, in good company, as our new food guide wants us to do – is that virtually everybody’s doing it. It’s a foundational belief of French culture that to do so is vital, not just to individual health and well-being, but to that of society as well. In Canada, we hold other beliefs. Another belief: Taking time out to eat is unproductive. I’m not sure whose agenda this serves, exactly, but it’s the attitude that sees many people eat distractedly at their desks instead of taking a break to eat properly and recharge. Another: As long as you’ve ingested calories, you’ve been fed. Never mind that countless studies show that sharing a meal with others leads to everything from higher literacy and grades, to less depression and addiction, to greater open-mindedness and better relationships. Perhaps not a belief, but certainly a prevalent message in all of North America, is that to care about good food makes you a snob. U.S. President Donald Trump saw his fast-food buffet at the White House this month as a triumph, and proof that he’s not such a precious elitist that he has to serve people real food on plates. Beliefs such as these validate a mindset that puts our own country’s battle for better eating on a slippery upward slope. In our hectic North American lives, devoting more of our time and energy to regularly setting the table, planning a meal, cooking it, and taking the time to enjoy it with friends and family will always be a fraught issue. But it is worth tackling what is not just an individual issue but also a collective one. 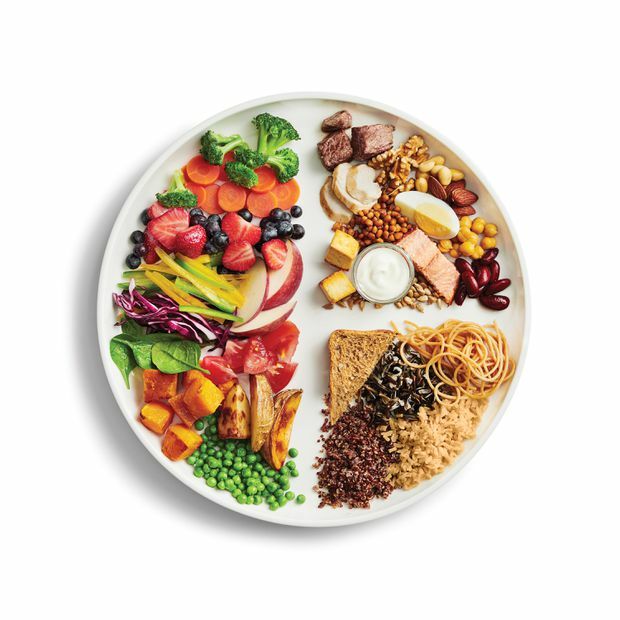 Whatever one thinks of Canada’s Food Guide in its latest incarnation, we can thank it for bringing us around the table and getting that conversation started.